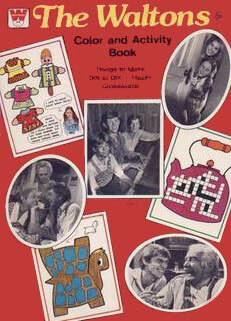 In addition to paper doll sets Whitman also produced coloring books and a sticker book. 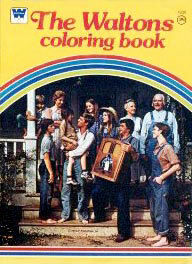 Whitman, the publisher of children's books as well as Gold Key comics, held a merchandising license for the Waltons. 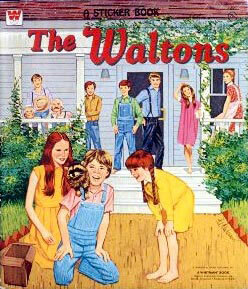 They did issue several Waltons books in the 1970s, but apparently chose not to go with a comic book. This 'Kite Fun Book' produced by the Western Publishing Company and distributed in 1981 by the Pacific Gas and Electric Company is as close as the Waltons got to being released in comic form. 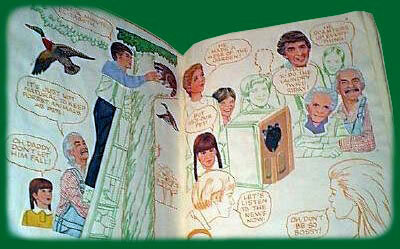 The cast of the Waltons join Reddy Kilowatt in a story about kite safety and fun. The back cover features Reddy's Kite Safety Rules. 16 pages printed on newsprint, 7" x 5"